Rush Limbaugh and Herman Cain have a lot in common: Both, are charismatic men who have made their reputations on their ability to turn-a-phrase. 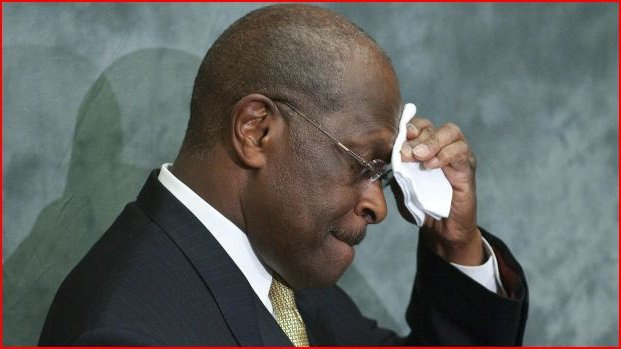 But Cain’s having to suspend his presidential campaign today, must have left Rush Limbaugh laughing. Cain, obviously has some business savvy that helped him earn a few bucks and gave him some prestigious in the private sector. Like Limbaugh, Cain discovered early on that he had a golden tongue. And like Rush, Cain became intoxicated years ago by his ability to spew up cynical, trite phrase that quite charmed and excited simple Americans who threatened and disenfranchised by ever-more urban, cosmopolitan culture. So Cain has enjoyed some remarkable success as just another angry, cynical, name-calling populist who eventually found himself with radio time and a newspaper column: the two essentials every populist demagogue must have to earn some $$ with their bombastic BS. The more popular Cain became with reactionary conservatives, the more that popularity obviously went to his head. What Rush Limbaugh knows that obviously that Herman Cain does not, is that being able to make snarly, sarcastic comments about liberals, women and the intellectual elite, doesn’t mean you have you have smarts or CV to be a real an electable politician. Just because you can make eloquent grand cynical pronouncements about what’s wrong with the country, doesn’t mean you really have intellectual content, a knowledgeable handle on world economics, foreign affairs, how the legislative process works, etc. etc. Just because the ratings of your radio show are through the roof and conservative groups across the land are all clamoring for you to come and speak to the minions, doesn’t mean that all that dirty laundry you thought was safely put away in a closet, won’t come out when if run for high office. Come Monday morning, Rush Limbaugh will return to his radio show from which he will make $400 million over the next 5 years, and Herman Cain will be looking at possibly a broken marriage and millions in campaign bills. Knowing full well that Cain was simply out of his league in making a run for President, Limbaugh will just the same, join all the other conservative hot-heads in the country in accusing the liberal-media of bringing Herman Cain down. 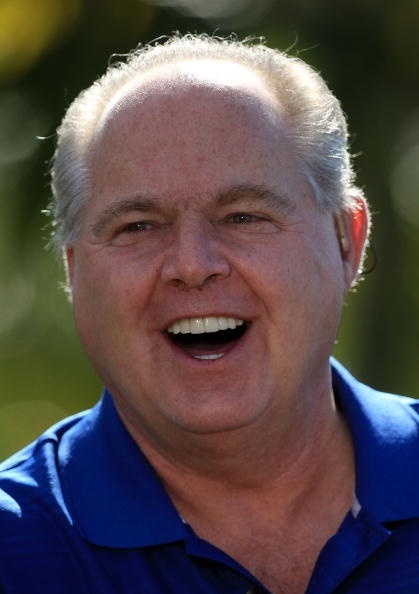 We liberals can say whatever nasty things we want about Rush, but we have to give him credit for knowing that just because you are a successful, professional demagogue, doesn’t mean you have the intellectual capacity, leadership or character actually get elected and hold position of power and responsibility. And that’s why Rush laughed today and why he will never put his money where his mouth is, and run for anything, not even dog-catcher. The man is as useless and teats on bull when he’s not behind a radio-microphone and no one know that better than he does. Previous Previous post: Did You Know That Israeli Government Doesn’t Think Much of Jews in the Diaspora? Who’s angry? Didn’t seem like Cain was. Looks like you are. Or, if not angry, then fairly hostile to post nonsense with a title that’s an outright lie. With 7 billion out there, you had your shot. I won’t be back. Isn’t it interesting how most conservatives who leave comments like this never use their real name and in this case, even create a fake email address? What could they be so afraid of? They’re afraid of exposure to the harsh light of reality. It’s the same reason they so often reply with an attack on we liberals. Other than spewing forth with the same bs they hear on Fox or the Free Republic, they have no defense of their ideology. Intellectual discourse is beyond them. You lost me at “focused on just getting by intellectually and financially, than in being a part of an educated, evolving cosmopolitan society.” I’m a liberal Democrat but right now all my energy is taken up with the “just getting by financially.” I don’t have time to worry about being part of an educated, evolving cosmopolitan society. The little people struggling today are of both stripes: Republican and Democrat. Don’t belittle us. Although you may be right in everything else you say in this column, your slight negates it all. You completely misunderstood the point I was making. I was not belittling people who are struggling financially but people who look at education and knowledge as a means and not an end. I come from a culture that celebrates learning for the sake of learning. I can’t believe that people who refuse to read newspapers and form angry political opinions based on sounds bits from Fox Noise and conservative hate radio appreciate the necessity of learning being a lifelong process. For the record, I’ve been out of work for almost two years and I am struggling financially. But I will not “blame” the liberal media, an African American President or the welfare system for my life challenges. I’m a humanist, not a greedy, indifferent narcissist. Your article loses me as well. Politics is about making a difference, not making money. Boenner and Pelosi have accumulated fortunes using insider trading, and your claiming Cain is a loser because Rush is making more money. Cain changed the political debate of the nation during his run, as hard as it is for some to admit. The debate went from “vanilla” politics to “black walnut” discussion of fiscal responsibility and radical tax reform. It got my attention, and would have gotten my vote. Any candidate that significantly simplifies the 82,000+ page federal tax code will get the consideration of my vote. How many of us are sick and tired of the political elite and their establishment mentality!? By the way education is a journey; we never get to a point where we know everything, an “end.” Never stop learning! Sorry to hear you’re out of work but in my small business, I used to be able to hire but have not had the financial means and fear the increased regulatory nightmare created by the last two administrations. I do blame the current president regardless of his ancestry and the president before him, the Congress and the supreme court as well. Let small businesses flourish; we are the engine of the economy not big business in collusion with big government via lobbyist. I just want everyone to play fair. The federal government is playing favorites. Over 45% of individual adults pay little or no federal taxes, and many of them receive monies for doing nothing other than breathing. On the other hand, get rid of corporate welfare, whether it be called: subsidies (“green” or otherwise), exemptions, bailouts, “stimulus”, deductions, etc., etc., etc.! How many small business bailouts or stimuli were there? Many are not aware that businesses spend over 10% of their time just trying to comply with federal taxes and regulations; what a waste of time! Granted we need regulations for protecting our environment, workers and general population. Some other nations are eating our lunch because their business taxes are a simple flat tax, and their regulations are a few simple pages. Why would businesses want to locate here other for the protection of the U.S. Courts and the U.S. Military? Is the trouble and cost of these amenities worth it? For anyone that doubts the complexity of the federal establishment machine just internet search and read some federal tax code or federal regulations, and try to make sense of any of it. Good Luck! I’m sure you may classify some or all of this as “talking points,” as Clinton coined the term. It offends me when I hear Maddow or Limbaugh dismiss ideas as talking points. Clinton managed to disgrace the oval office and in many ways tainted the exchange of ideas by allowing their easy dismissal as being pegged as mere talking points. The name-calling, dismissal of ideas, ancestral slurs, etc. needs to be replaced with thoughtful debate, tolerance, respect and understanding. This nation is moving in the wrong direction fast. Somewhat anonymity is my preference. Having a non-mainstream viewpoint has resulted in emailed threats from those both on the left and right but mostly from the left. In the past, if one lived in a small town, and wanted to express a minority viewpoint with a named letter to the editor of the small town newspaper, it may have resulted in their loss of employment perhaps difficulty in the marketplace, trouble for their children in school so they would write an anonymous letter to the editor. Don’t we have a secret(Australian) ballot? Thank you Jane for your intelligent feedback! Most welcome.